Our cycling tour through the Balkans includes six countries; Albania, Bosnia and Herzegovina, Croatia, Macedonia, Montenegro and Greece. With half of them in the rear view mirror, we were also about halfway through our route from Athens to Split as we pedalled out of Albania. Although small in size, Montenegro is surprisingly mighty in charm and wealth. It felt like an entirely different world compared to Albania and Greece. Gone were the half-finished buildings, abandoned gas stations, deteriorating roads and threadbare grocery stores. Glitzy harbours, new developments and a plethora of restaurants and well-stocked markets were our first indication that Montenegro was more like Western Europe than Eastern Europe. The booming coastal cities of Bar and Budva are full-blown resort areas, with early season traffic to match. No secondary roads and no shoulders meant that we had to be on our guard as we made our way north. Cyclists headed in the opposite direction had warned us about this section. Their concern was well justified. 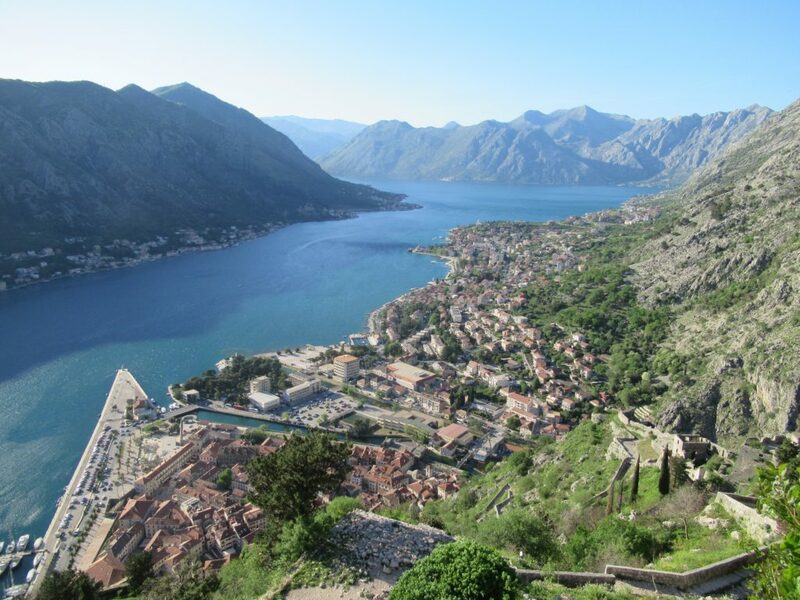 The approach to the heritage city of Kotor was particularly hair-raising, with a constant flow of trucks and an ear-splitting mile-long tunnel the low point in our trip. But the Bay of Kotor made it all worthwhile. Nestled in a unique bay-within-a-bay, Kotor is one of Europe’s hidden gems. It’s near impregnable location keeps cruise ships to a minimum, while its fortified pedestrian core, grand architecture and mountainside watchtower is a joy to explore on foot. We loved it. Arriving after the daily cruise ship onslaught meant that there were more locals than visitors walking the ancient stone streets during our stay. The Bay itself is a rare combination of quiet roads, stunning landscapes and charming historic towns. And it’s flat! And a loop! No shortage of photo stops tempted us, but Perast took the cake. The gorgeous waterfront town overlooks an island church and the mouth of the Bay. We spent a second night on the Bay before pedaling north to Dubrovnik, keen to see why it has become one of Europe’s most visited cities. “The Pearl of the Adriatic” shone brightly as we descended to the fortified coastal city. It looked huge compared to Kotor. 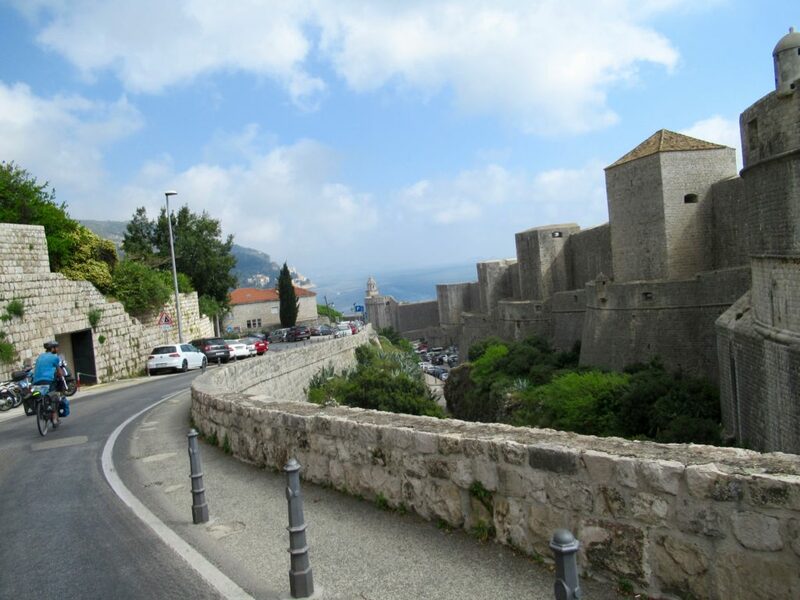 Dubrovnik welcomes roughly 10,000 tourists per day in the high season, about six times the number of inhabitants. But in April, the numbers are more manageable. Our early season luck continued and we found an affordable room in the heart of the old town. It was just the second time on our trip that we spent two nights in the same location, giving us a chance to explore the city and rest up for our ride to Bosnia. A mighty climb out of Dubrovnik led us to a small border crossing and the start of the Ciro, a relatively unknown (but superbly signed) rail trail all the way to Mostar. The trail is a combination of quiet back roads and gravel paths through abandoned villages. Signs warning of buried landmines are a reminder of the turbulent times in the recent past. We followed the trail closely, eventually descending to the city of Capljina along the Neretva River, and on to Mostar, famous for its arched bridge and medieval streets. Sarajevo beckoned in the distance. And the route looked beautiful. But we were warned that it was a treacherous ride. With no easy way out of Sarajevo, and bicycles forbidden on the train, we traded our bikes for steel wheels for a day. The train from Mostar to Sarajevo must surely be one of the most impressive and scenic routes in Europe. And at $16 round trip per person, it is easily one of the most affordable. It’s a wonder how this railway was built in the first place, and how it continues to operate with barely anyone on board. We counted less than 30 people get off the eight modern carriages in Sarajevo. The capital city is a fascinating marriage of East and West. Mosques and churches co-exist while storefronts offer Turkish delight and Baklava. Cevapcici, a Bosnian meat speciality, is sold on just about every corner, while the freshly roasted aroma of Turkish coffee wafts through the streets. Ornate heritage buildings (including the impressive Sarajevsko brewery beer hall) are interspersed throughout downtown while forested hillsides encircle the city of roughly half a million people. 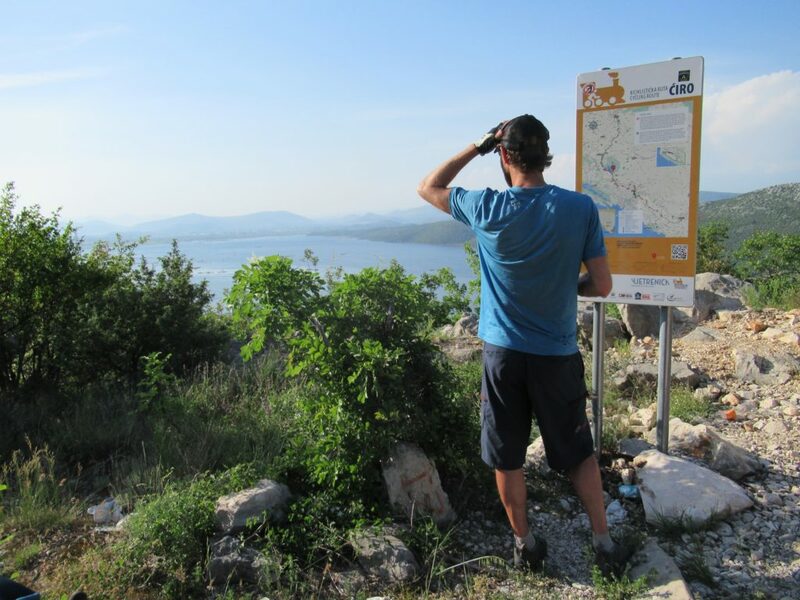 We took the train back to Mostar and cycled to the Croatian coast the following morning. The quiet river valley made for a leisurely pedal to Ploce, our jumping off point for a week of island hopping in Croatia, and our last cycling in the Balkans.